The confidence a strong, dependable roll can bring to your enjoyment of kayaking is immense, and will serve you well on the water for years to come. On our two-day clinic, you will be coached by our expert team towards a roll that you can rely on. Over two days of personalised coaching, we'll make use of our purpose-built heated rolling pool to help you find the best technique for you. Your days of going swimming are over! 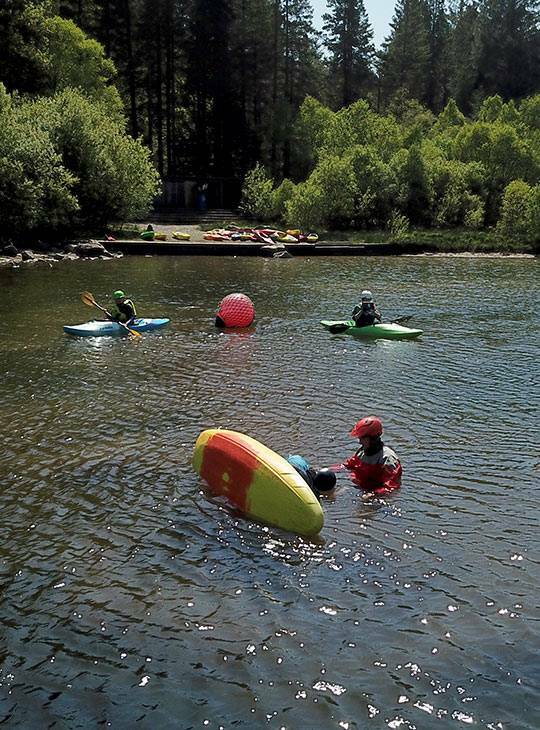 - You’ll be coached in our heated indoor pool, as well as the lake and river, putting in plenty of practical time on the water. - You’ll spend time on the course being individually coached to troubleshoot weak points on your way to a strong, dependable roll. - You’ll be advised on the next steps and progressions you can take towards consolidating your roll. There'll be a mix of practical sessions, physical and mental preparation. You'll start each session with a series of exercises to increase your flexibility and warm you up before starting work in our heated pool. You'll progress outdoors as when we decide that this progression will be of benefit to you. We'll assess your needs and coach you individually, and there'll be plenty of opportunity to review video footage of your progress. 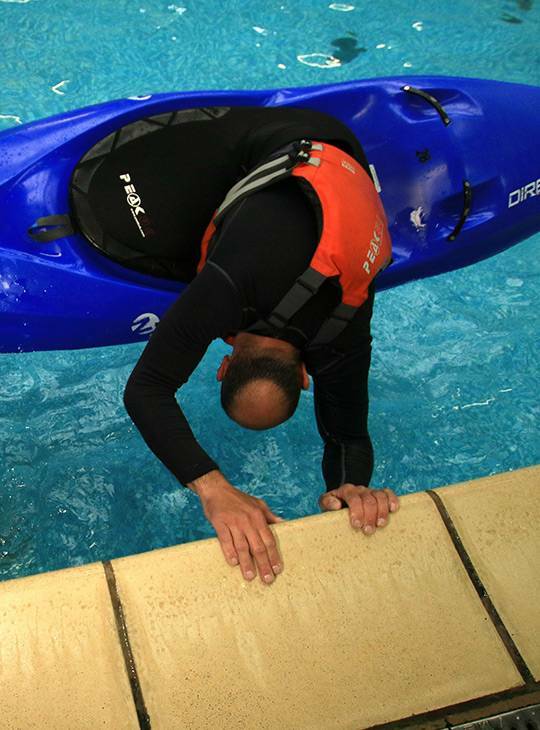 Able to perform a confident capsize. 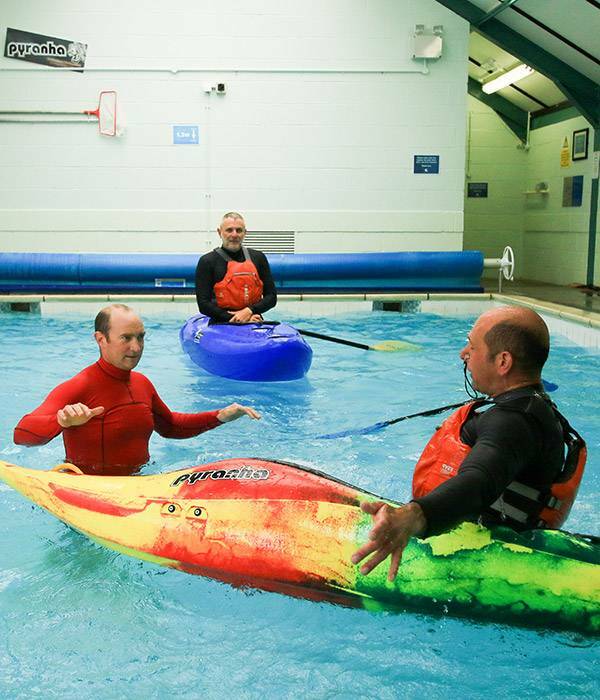 Training with us gives you access to our extensive range of paddling equipment and clothing, carefully chosen to help you hone your rolling skills. Just bring yourself, a 'can do' attitude, and determination to have fun whilst developing new skills. We will spend the vast majority of the time in our heated pool. It can be useful to have along a nose clip and googles to help improve comfort as you'll be spending a lot of time underwater. Bring a swimming costume and long-john style wetsuit if you have one, although we have plenty to borrow free of charge in our well-equiped store. You may wish to bring along your own trusty paddle. Rolling can be tiring, so being fit will help you get the most from the course. Flexibility is another key factor in success so increasing your flexibility and mobility well ahead of the course will help to ensure success. A lot more confident when you do go upside down, and much more able to get yourself back upright.